Rawhide glue has many uses. It can be used to hold arrow points or spear points in place while you lash on sinew, it can be applied over the sinew wrappings on arrow fletching to hold then in place better, and it can be used to glue down a sinew backing on a bow. Raw hide glue is not hard to make although it is pretty time consuming. 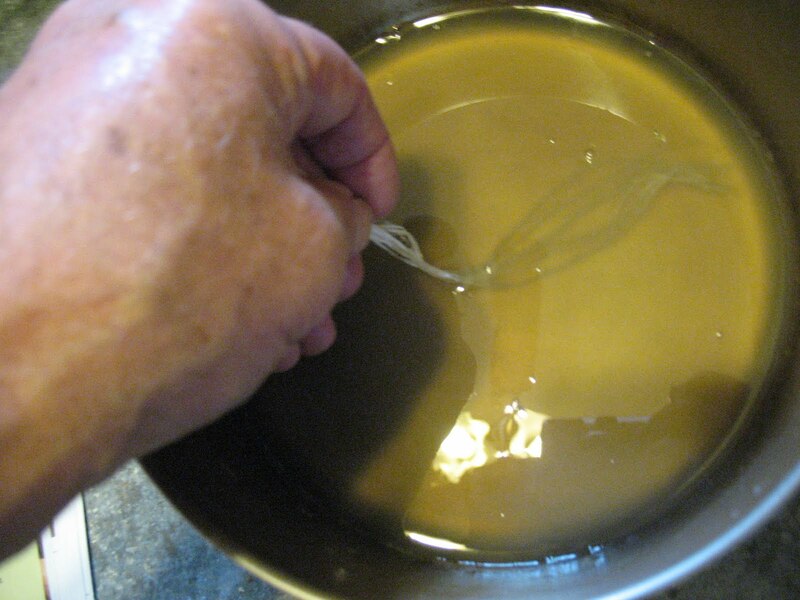 The easiest way to make rawhide glue is to take rawhide scrapings and boil them in a pot of water. If you are brain tanning animal hides you will have a lot of scrapings on hand. Instead of throwing these away, why not make them into glue? If you’re not tanning hides you can still take a rawhide and scrape it down into shavings and use them. Some people just cut the rawhide into small chunks and boil these, but this takes a longer. Picture below: Rawhide chips ready to be turned into glue. Here’s how you do it. Bring a gallon of water to a rolling boil. 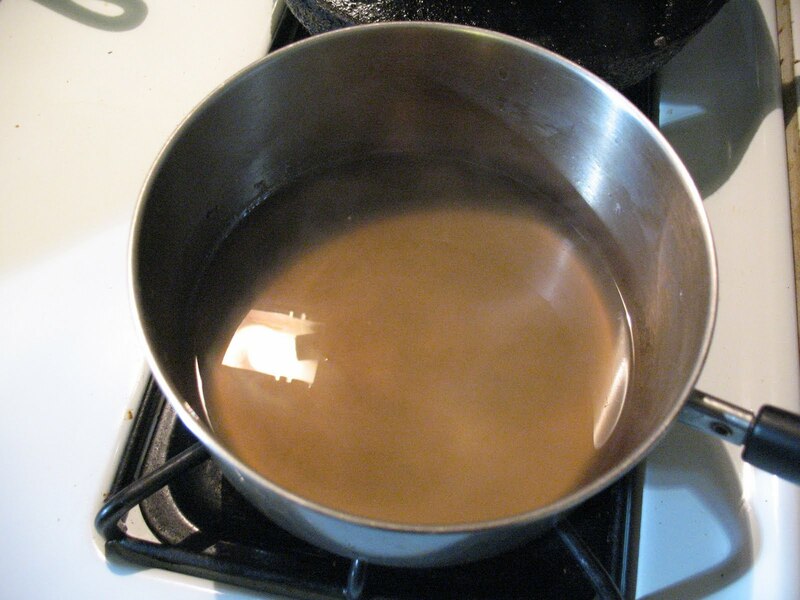 After the water comes to a good boil, reduce the heat so that the water is just simmering. Take a double handful of rawhide shavings and drop them into the water. Stir the shavings around a little then set back and let them simmer. Keep an eye on the water and don’t let it all boil away. If it gets down below an inch add some more water. The shavings will eventually begin to dissolve. When they are completely dissolved, let the water boil down until you have about an inch in the pot. Pictured below: Rawhide glue after about twenty hours at a low simmer. The water had to be topped up about six times. You can pour this liquid off into a container and let it cool. As it cools it will become thicker. This is your glue. 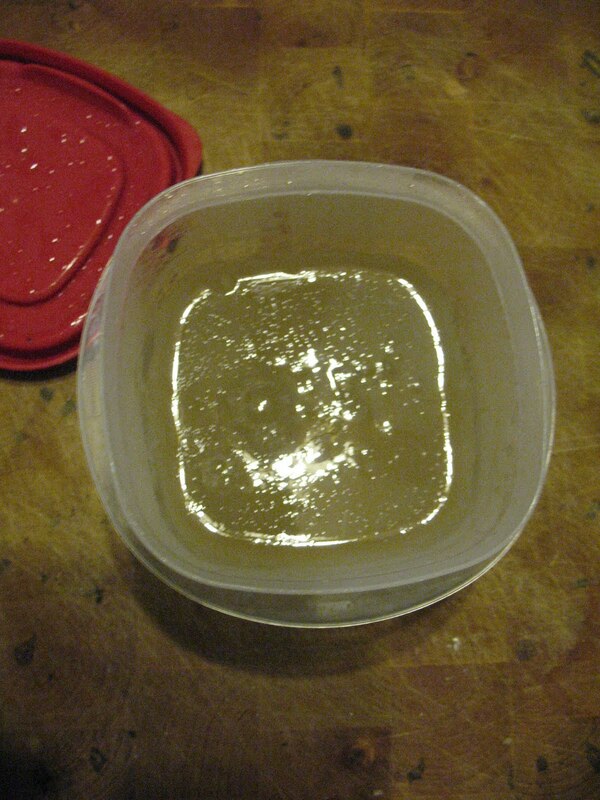 If the glue is still pretty liquid it will grow bacteria on it if left out, so you need to store it in the refrigerator. Pictured below: Container of rawhide glue that has just been removed from the refrigerator. If you leave the glue on the stove longer, until most of the water is boiled away, it will become very hard and brittle. In this condition the glue will keep for years without refrigeration. You can take very thick rawhide glue and before it cools dip a small stick into. Swirl the stick around a little to get a good glob of glue on it, then stick the stick into the ground in an upright position and let the glue dry. You’ve just made a Stone Age glue stick. 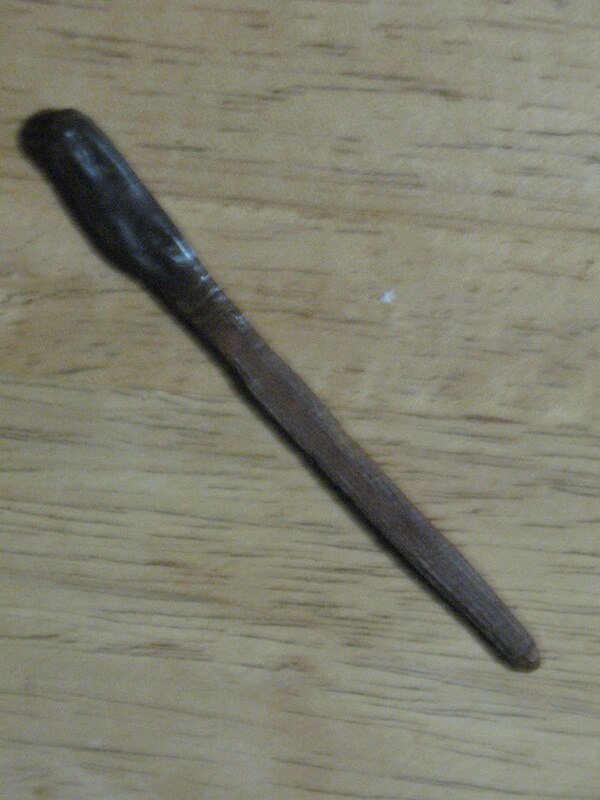 Native Americans often carried a glue stick like this to make repairs to arrow point bindings or fletchings. Just lick the glue stick or put it in your mouth for a moment and it will soften up for use. 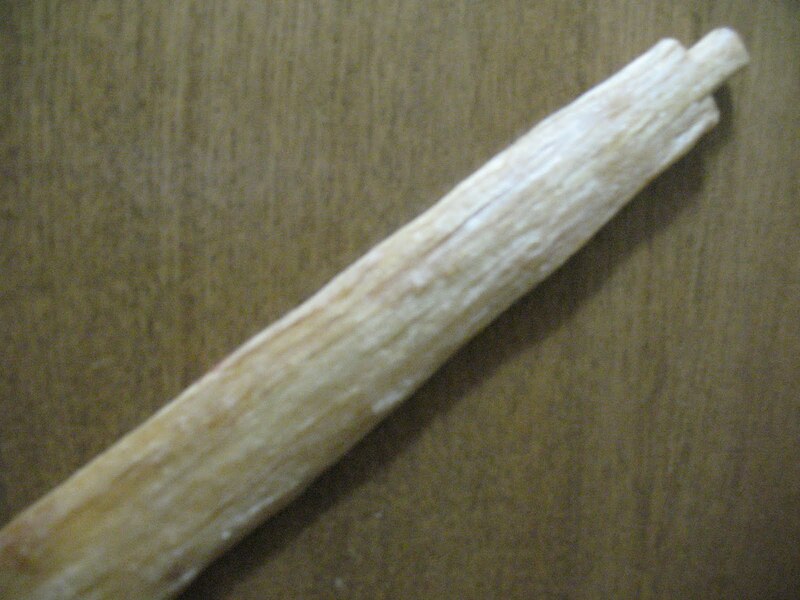 Pictured below: Rawhide glue stick. 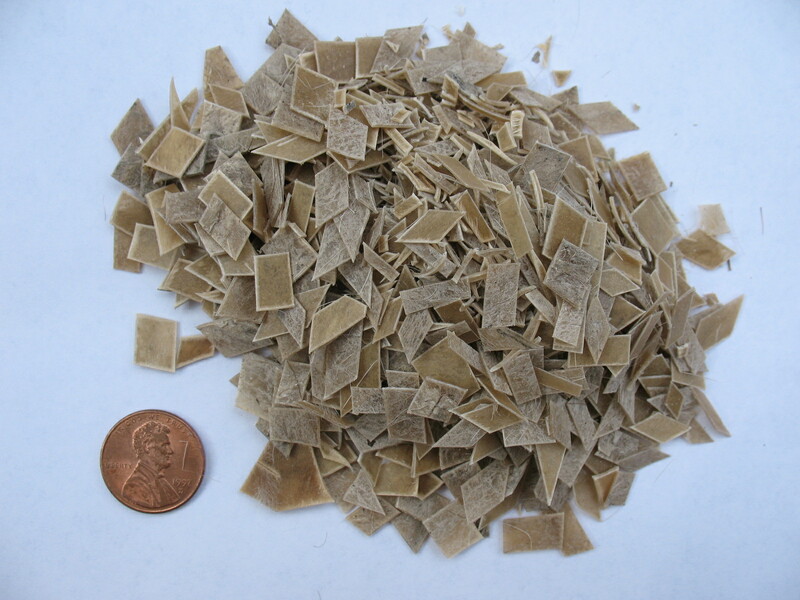 If you don’t want to go to the trouble of making your own rawhide glue you can order some on the internet, or you can buy some un-flavored gelatin at the grocery store. Yes, gelatin. Gelatin is made from boiled beef hides. Don’t tell your kids or they will never eat Jello again. To make glue out of the gelatin just bring a little water to a boil, turn it down to low, add the gelatin, and stir until it dissolves. Make your glue mixture thicker than the directions for gelatin. The resulting glue is used the same way as rawhide glue made from boiled deer hides. 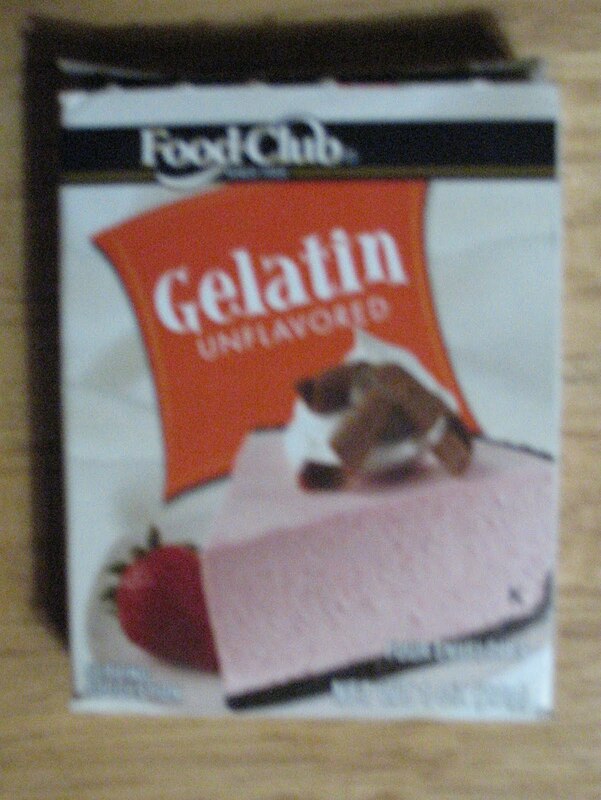 Pictured below: Unflavored gelatin. Word of caution: if you are trying to sinew back a bow, don’t try and use carpenter’s hide glue as a replacement for rawhide glue. The carpenters glue has added chemicals that affect the way it hardens, and it will not work well with sinew. Pictured below: top, Dipping a sinew bundle in rawhide glue; bottom, Sinew bow backing applied with rawhide glue.